If you want your business to be packed with customers, you better be prepared to take the heat. Remember, it takes a comfortable shopping environment to convert foot traffic into paying customers. Don’t expect sweaty and stingy customers to browse your store for half an hour, let alone stand in line to make a purchase. If you want them to stay, you need a proper commercial cooling system in place. And here at Berwic, it’s our mission to provide businesses and homes with the HVAC system they rightfully deserve. Commercial cooling may not have been the first thing on your mind when you started your business. 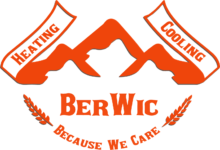 But during busy days, especially in the summer, you’d wish you did things the Berwic way. Your search for a commercial cooling solution is over. To learn more about our commercial cooling services here at Berwic, call us at (587) 275­-4822.